Actor Mark Wahlberg attends the premiere of "Two Guns" on Monday, July 29, 2013, in New York. Mark Wahlberg is nothing if not a fighter. The 42-year-old actor, producer and famed high school dropout revealed today that he finished up his remaining credits and finally got his diploma this summer. "I was fortunate to find out I could attend high school online," Wahlberg, who previously hadn't made it past the ninth grade, wrote in an op-ed on Huffington Post. "For almost a year, I've been taking classes and studying any chance I could get--on the set, traveling for work and at home. It has been both humbling and challenging, but I'm happy to report that I am officially a high school graduate." The "Pain & Gain" star told David Letterman in June 2012 that he intended to go back and finish what he started. 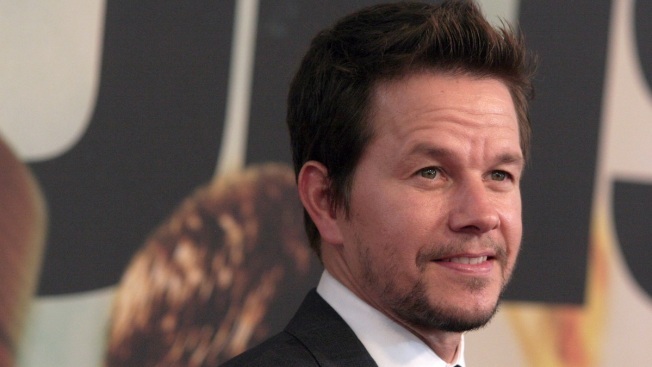 "They're going to give me whatever credits I already have, which is probably like one or two, but I'm going to make it happen," Wahlberg promised. "Most high school dropouts don't end up with successful careers in Hollywood. I was lucky," the father of four acknowledged in his HuffPo piece. "Compared with high school graduates, dropouts are more likely to be unemployed, in poor health, living in poverty or on public assistance." Which is why Wahlberg, having obviously made it in America a hundred times over, has partnered his youth foundation with other groups like the Taco Bell Foundation for Teens to make efforts to expand the educational horizons for at-risk kisd. "It shouldn't take luck for people to be able to access the education they need to help overcome life's obstacles," he wrote. "Investment in education is a no-brainer in promoting personal and career growth and supporting our economic recovery." Wahlberg added: "I was able to do it because I knew I wasn't alone, that other teens and adults were going through the same thing I was in balancing work and family in order to better themselves. To those students struggling every day and--most importantly--to those who are looking for a second chance, I have a message for you: never give up. Keep believing in yourselves and don't make small plans."